And now for a look at the history of another one of Nissan’s most famous cars, the Silvia and its sister-models. I’m sure when most of you hear “Silvia”, you probably picture a tuned S13 or S15 blasting through a corner sideways, but the model actually has roots that go back 45 years. 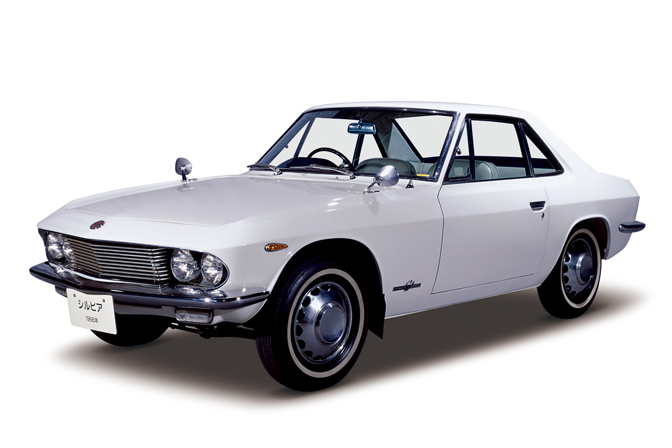 The first Nissan Silvia was the CSP311 model which was shown at the 1964 Tokyo Motor Show. The CSP311 shared the same platform as the Fairlady 1600 Roadster, but had a stylish hand-crafted coupe body. It was really more of a specialty car than one aimed for mass markets. They were produced in very low numbers until 1968 and are very valuable collectors car today. Interestingly, the first Silvia was used as a highway patrol car by the police in Japan’s Kanagawa Prefecture. 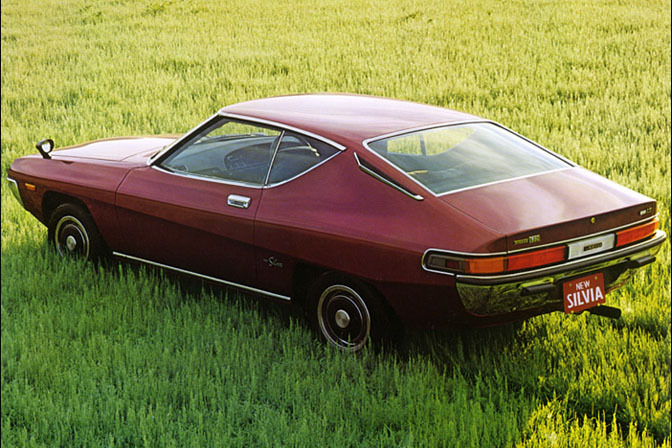 The Silvia would then disappear until 1975, when the new S10 model hit market. As you can see, the S10’s styling had some pretty bold elements compared to other cars of the era. The S10 Silvias were never big sellers, and today they are rare compared to the more popular Z, Skyline, and Sunny models. The S10 was exported to other markets including the USA where it was sold as the Datsun 200SX. The US-car came with large bumpers that didn’t help the car’s already funky shape. Come to think of it, the first time I ever saw an S10 was at the junkyard several years ago. I didn’t know what this strange-looking car was doing in the Nissan section until I saw the “200SX” emblem on the rear. The next Silvia was the S110 model, which was introduced in 1979. The normal versions of the S110 were nothing particularly special, though a turbocharger was offered for the first time on the chassis and it was sold as both a coupe and hatchback. What was interesting though, were the RS models which were built for rally competition and were equipped with Nissan’s FJ engines. This car in the above photo is one of the export models with the LZ20B engine. 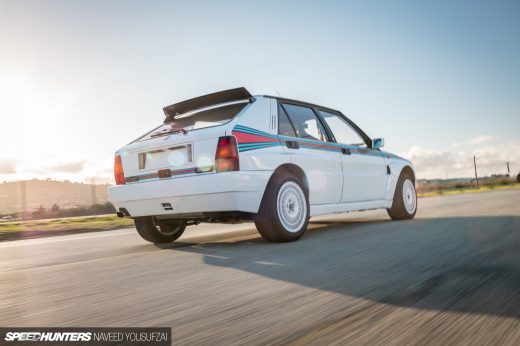 The most radical was the 240RS homologation model which used the FJ24 engine and was built to FIA Group B spec. There is a guy here in Japan with a fully restored 240RS that still sees action at various events. 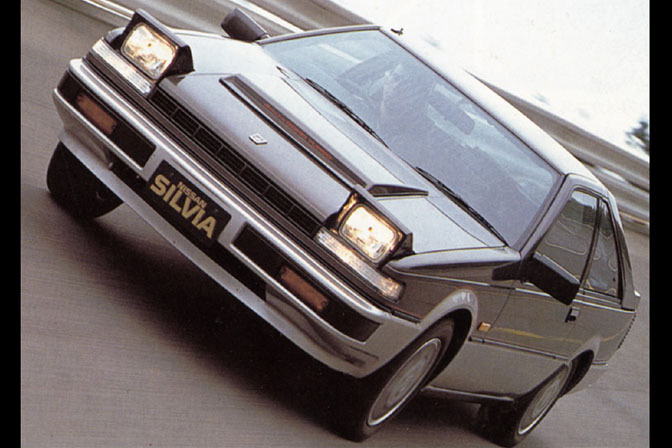 The fourth generation Silvia was launched in 1983 and used the S12 chassis. 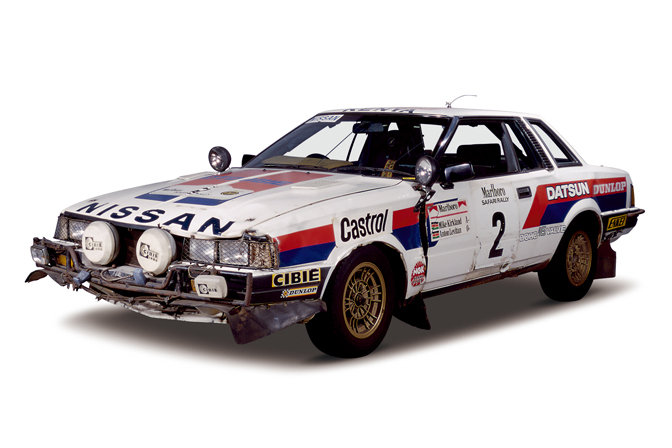 The S12’s were available with a number of different engines, depending on which country they were sold in. In Japan both the S110 and S12’s were sold as the Silvia OR the Nissan Gazelle, depending on which dealer you bought it from. JDM S12’s were available with the twin cam FJ20 in both NA and turbo-spec, as well as the CA series of four cylinder engines. 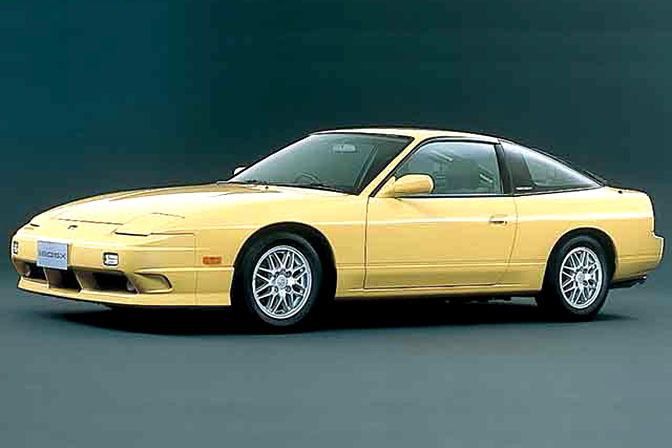 In the US, the S12 200SX was even available with VG30E V6 engine from the Z31 300ZX. Although nowhere near as popular as the S13, I know there are few cool tuned S12’s out there. Do any of our readers have modded S12’s? 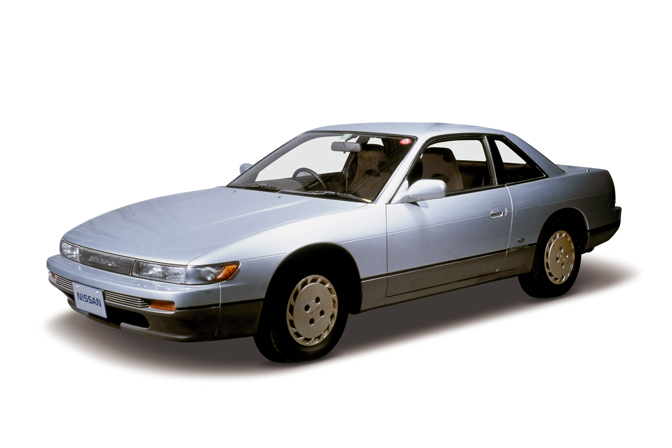 In 1988, the new S13 Silvia was launched in Japan and it would become the most popular of all the Silvia models. In Japan and most other countries, the early S13 Silvia’s were equipped with the CA18DE and CA18DET engines. The Silvia K’s was the high performance model and came with the turbo engine that made 175ps. The US market kind of got the short end of the stick their S13’s. The USDM S13 (and S14) 240SX came only with the naturally aspirated KA24 engine. The KA was strong and torquey, but didn’t deliver the turbo power of the other engines. The European versions were known as the NIssan 200SX. For the S13 model, the fastback version of the car were no longer known as Silvia, but as the 180SX. The body was different, but underneath it was identical to the Silvia. The RPS13 180SX was extremely popular, and it was sold in Japan until the late ’90s, even after the Silvia had moved on to the S14 chassis. 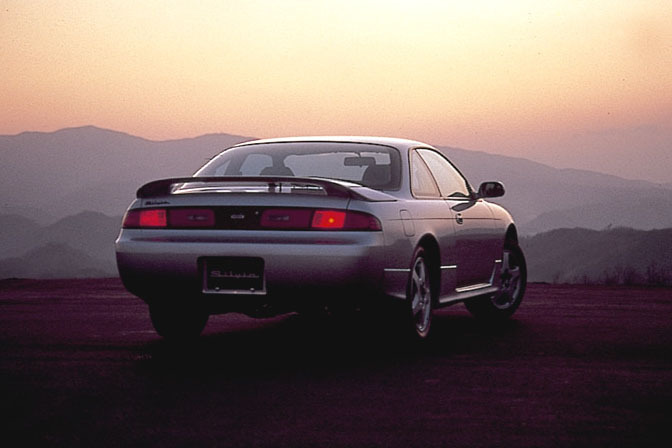 In 1991, the CA18 engines in the Silvia and 180SX were replaced by the new 2.0L SR20 engines. 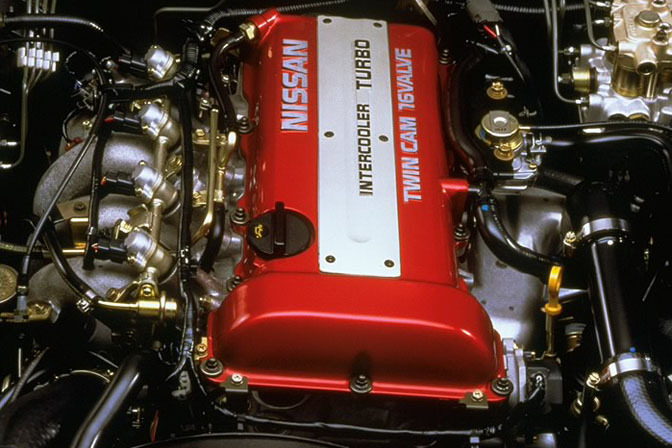 The Silvia K’s and 180SX turbo models got the turbocharged SR20DET which produced 205 ps and proved to be one of Nissan’s most popular engines ever. The 180SX name stuck even though the cars now came with SR20’s. 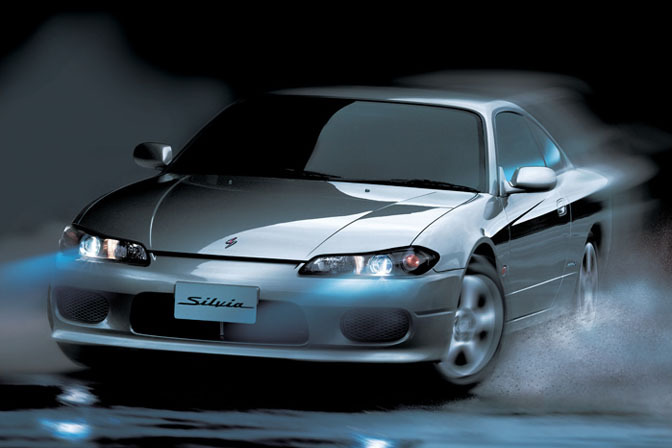 In 1999 Nissan introduced the new S15 Silvia to the Japanese market. The S15 carried over the SR20 engines, but the top dog S15 Spec R now made 250hp and came with a six speed transmission. There was also a special 200hp Autech version of the non-turbo spec S model. On the exterior, the S15 has what is in my opinion some of the best styling on any Japanese car ever. Every part of the design is just beautiful. Sadly, the S15 was discontinued in 2002 and the Silvia has been gone since then. There are tons of rumors about a new Silvia coming out to do battle with Toyota and Subaru’s upcoming FR sports car, and Nissan has hinted at the project several times. Hopefully there will be some more solid info on the new Silvia soon. Maybe at the the 2009 Tokyo Motor Show? popular on the used car market during the drifting boom earlier this decade. like the one that made the cars explode in popularity. So there’s a brief look at the story of the Silvia, which if these rumors are true, is not over yet. What kind of stuff would you guys want to see on the new Silvia? Every rumor i have heard of the new silvia sounds good to me. Because a 1,6 with 220bhp is more than enough if the car will realy weigh 1250kg. my friend has a S12 200sx. he doing a SR20DET Swap as we speak into it. the engine has already been dropped in. mainly wiring and piping for the intercooler/turbo set up needs to be done. 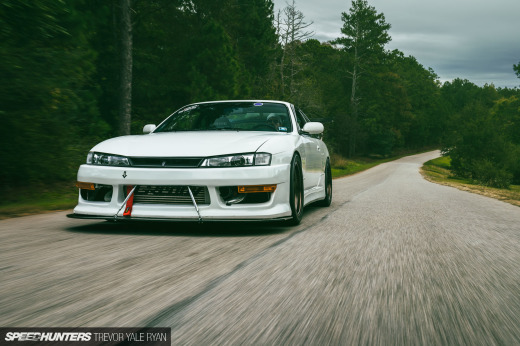 "Although nowhere near as popular as the S13, I know there are few cool tuned S12's out there. Do any of our readers have modded S12's?" One of the most tuned s12's in the US has a pic in one of the previous articles on speedhunters. There is one Silvia s12 with RB26DETT from R34 skyline in Finland. One of the guys from HeartBreakers has an S12 with S13 subframes and DOHC KA motor. It's dumped on coilovers and sitting on some Work Equips. I'll get a link for you later. Maybe you could do a feature?